I’ve been wanting to go here for brunch for quite some time now. passed this place many times and saw several friends posting delicious pictures. yesterday we finally made it. it’s a cute little place, with a great headlight window. very industrial but cozy if that makes sense at all. wooden high communal tables and a bar. if you sit there, you do not have to order at the register. they have a brunch special which was what we ordered. 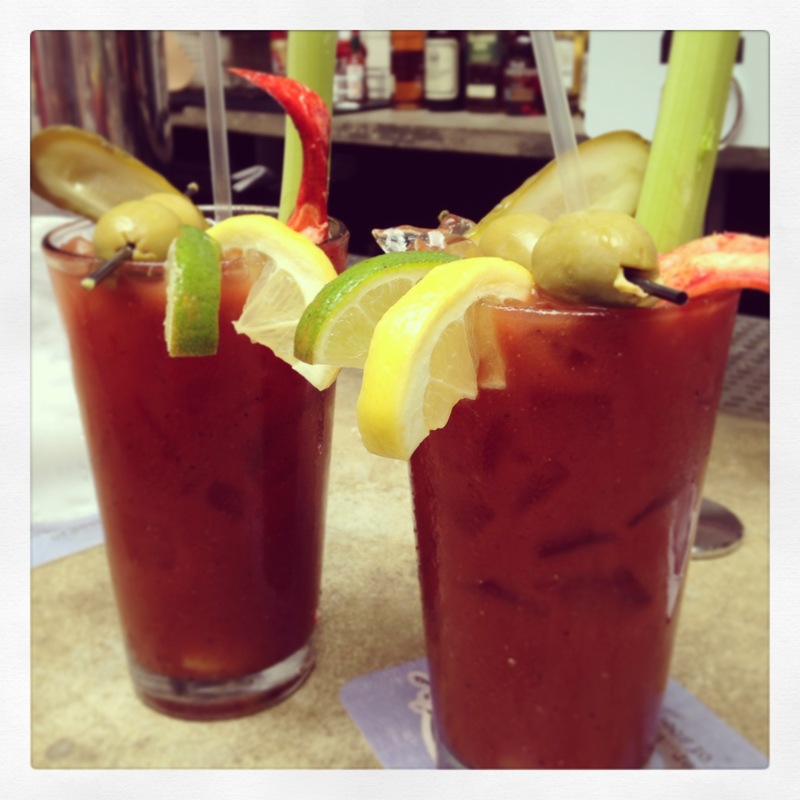 it includes a very delicious lobster claw bloody mary (or a mimosa and something else – but who cares when there are bloody marys ;)) and several brunch items. most of them with lobster, obviously. 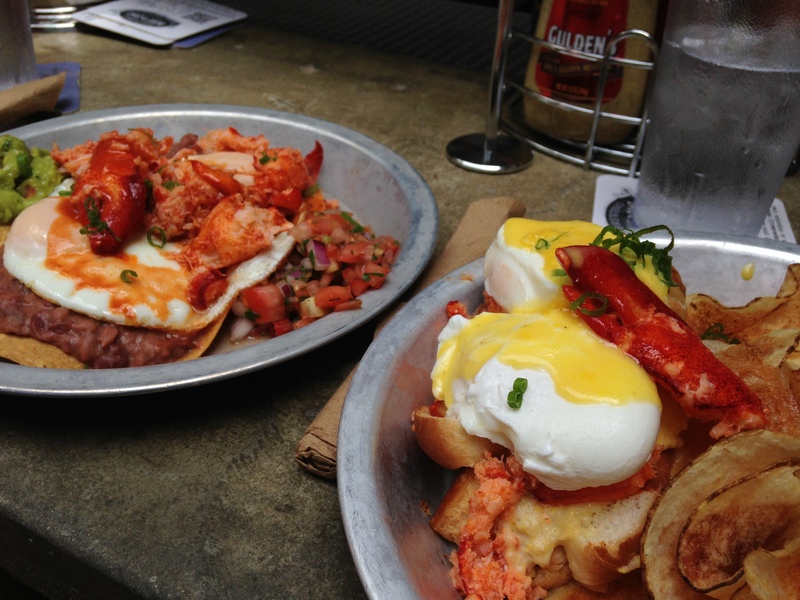 we shared lobster huevos rancheros and lobster eggs benedict. you can choose between chips, fries and salad as the side. the huevos came on a soft taco with beans and a very delicious guac and salsa. they also ad a mushroom frittata with truffle. best thing is, it’s $19 which is great. the girl sitting next to us had a salad with lobster which looked great, too. they have several other great cocktails, I tired the vodka lemonade and the dark&stormy. I can highly recommend the place. one nice feature is that they have vinegar for your fries/chips. and for those who like beer, they seem to have a great selection of more or less local beers.